American Television Journalist Bryant Charles is very famously known to have spent his 15 years as a co-host for the NBC's Today. His work as a reporter and also a sportscaster has accumulated a lot of attention, garnering him a lot of fan followings. Now if you are one of the fans of this reporter, you probably are acquainted with Bryant's work and accomplishment, but are you aware that Bryant once struggled with his health problems? Well, if not, no worries as we are sharing as much as there is regarding Bryant's health issues. But before that, here are some glimpses of his personal life regarding his family affairs. The 69-year-old sportscaster met his wife, Hilary Quinlan after separating with his first wife, June Gumbel in 1997. He has got two children, a son named Bradley and a daughter named Jillian from his first wife. Bryant had a pretty good bond with Hilary, and it wasn't long before he presented her the ring in 2001 and the two got married in August 2002. The two are still together and have beaten the odds of their unsupported relationship from Bryant's first wife. As confessed before, Bryant and Hilary do not intend to have children now or in the near future. As for Bryant's children from first wife, his daughter, Jillian got married in November 2011 to William Russell Robins, while his son hasn't been involved with anyone right now and was released after getting wrongly arrested for purse snatching. Weight loss is a dream of many but achieved by few. 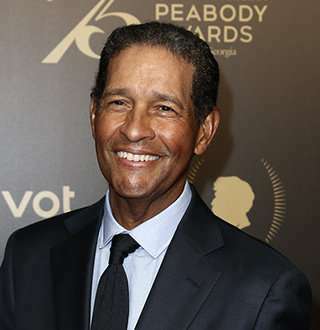 Bryant Gumbel is an achiever in the context; he lost a whopping 55-lb of weight. He used to be size 38 or 40, and eventually, he reduced his size to 31. He was overjoyed with his achievements and was determined to stick to his newfound lifestyle back in 2003. Bryant once shocked his fans by revealing that he had undergone surgery to cure cancer. While attending American talk show "Live With Regis and Kelly' in the first week of December 2009, the host Kelly Ripa asked Bryant to dance to introduce a segment. Bryant denied the proposal and said could not participate in that by explaining a note from his doctor. Bryant clarified that he was not running away from dancing and revealed that the real cause for his denial was the cancer surgery he underwent two months ago. The news of him being sick with cancer left everyone shocked including Bryant's producers and friends from his then regular workplace on HBO's "Real Sports." Saying that the illness was kept private, Bryant said he, along with his family, had chosen to not reveal about his treatment out in the media but were expecting the news to get out eventually. Talking about his surgery, Bryant disclosed that he had lung cancer. Doctors opened his chest, and the malignant tumor, along with a part of his lung, was removed. He also revealed that the pathology on most of the stuff was non-threatening, but some aggressive cells that escaped during the operation were subjected to added treatment. Bryant concluded without giving further information about his condition and uttered that he was done and was hoping to be permitted to play golf again. After a year of medication, Bryant became free of the disease. Talking about his health with the People on 2nd December 2010, Bryant disclosed his prognosis was excellent as his doctor said he was free and clear of the disease. Quoting that he is hoping for the better times, Bryant also said that he had very little to complain about as he was doing well. As of now, Bryant is healthy and hosting the HBO's show acclaimed investigative series Real Sports with his elder brother Greg Gumbel. Besides Real Sports, he has previously worked for popular networks like NBC, CBS, and NFL.